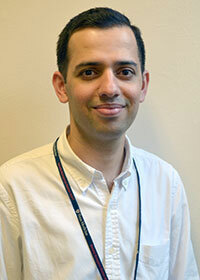 Arun joined the Penn Memory Center in September 2015 as a research specialist for Dr. David Wolk’s studies. Before joining PMC, he worked in mental health settings for two years as a mental health counselor under the supervision of licensed psychiatrists. Arun graduated with a bachelor’s degree in Psychology from William Paterson University in 2012 and attended a graduate program at Temple University’s School of Social Work before switching his career path to medicine. He is also a post-baccalaureate student at Penn and plans to attend medical school in the near future.